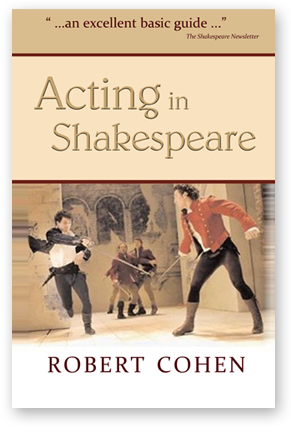 This newly revised and expanded second edition of Cohen’s distinguished work on Shakespearean acting (2005) is available in an inexpensive paperback with Smith and Kraus. “Cohen’s analyses… are perceptive and well articulated… [showing] actors that [Shakespearean] language is not merely decorative, but something that grows out of a psychological urgency… . By book’s end students can reasonably be expected to be comfortable and confident with Shakespeare’s demands. 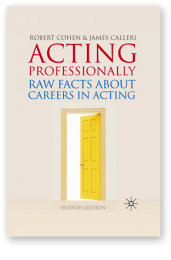 “And while there is a wealth of critical insight into the plays and their characters, Cohen is as generous with hints about purely technical matters too often foreign to naturalistic actors… . 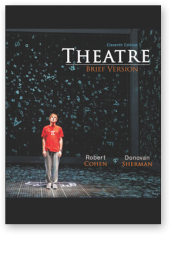 While the bulk of the book focuses on voice in the theatre, Cohen is acutely aware that Shakespeare’s plays are also intensely physical works… [and his] chapter on physicalizing Shakespeare contains a number of stimulating exercises (Cohen’s strength as an acting teacher). “…practical instructions for dramatizing Shakespeare’s scripts for a contemporary audience… how to decipher unfamiliar Shakespearean words and expressions, how to analyze and illuminate character, and, ultimately, how to convey the characters’ emotions to the audience so that a bonding occurs, one which enables the actor and audience to experience mutual illumination and identification.